I’m not sure that my experiences at a liberal arts college were typical – since so little of what I wind up doing seems typical – but there was nothing practical about it. No one discussed possible careers for a Classics major or an Anthropology major; they were just areas of focus amid the well-rounded core curriculum. Well, let me tell you that I wish I had received a bit more guidance – maybe even just a sign here or there that a real world existed and that I was going to have to function in it. And, that’s what Northeastern does best. The first time we mentioned to someone that we were going to visit Northeastern, the person responded, “Oh, you have to check out the co-op program!” Obviously, this person was from the Northeast and knew her way around the universities up there; she knew what set Northeastern apart from its peers. On the contrary, hardly anyone I’ve met south of the Mason-Dixon line has ever heard of it. It’s time to change that. 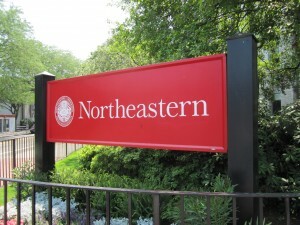 Northeastern builds actual work experience into its curriculum. Every student at Northeastern participates in what’s called a Co-op. This Co-op program is sort of like an internship, but better. We’ve all seen comedic portrayals of the “intern” getting coffee, making copies, and taking out the trash, clear representations that the average intern is a glorified slave who may or may not learn anything about the business at hand. 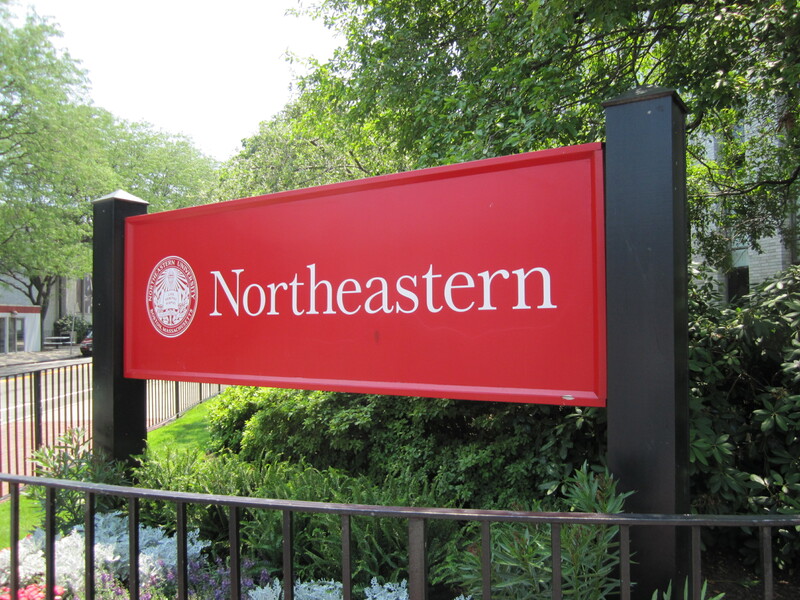 That’s why Northeastern runs a strict co-op system, in which the participating businesses are required to provide a certain amount of meaningful training, so that Northeastern kids can gain real experience and have the chance at getting real jobs! 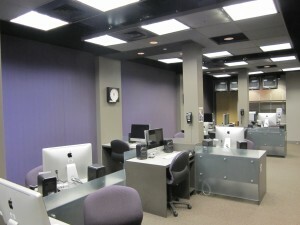 Northeastern students spend at least six months working in a Co-op. During that time, they do not take classes or pay tuition. Instead, they get paid to work and see the innards of a functioning business. This step away from the college grind pays off. Some of the students find that they’ve indeed found their true calling through their Co-op work, while others learn that their talents are best suited elsewhere – a realization everyone would rather have during college, as opposed to after. The Co-op is even cooler than it sounds because students have the option of doing their Co-ops practically anywhere in the world. There are active Northeastern kids everywhere, working up a storm and having fun in the process. I wish I could have had this option when I was in school! Northeastern isn’t in the center of Boston’s serious hubbub, but it’s really easy to get there. All you have to do is hop on the T, which is basically a monorail/subway/bus combo. It’s the noisiest public transportation on earth, but it runs like a champ and can get you anywhere you want to go in Boston. I had heard of Emerson before. One of my favorite students of all time – Eric Helfman – recently graduated from there, and everything I saw in his college curriculum differed from my experience at Southwestern. This college may have a liberal arts component, but it is NOT a liberal arts college (even though technically it is). Note that Eric never had to take a math or science class, and every one of his humanities courses dealt with film or art in some way – hardly the typical liberal arts pathway. I was intrigued – so many of my students could benefit by attending a more hands-on, career-oriented college. Emerson specializes in artistic, communication, and media majors, so you won’t find a basic business or engineering major here. 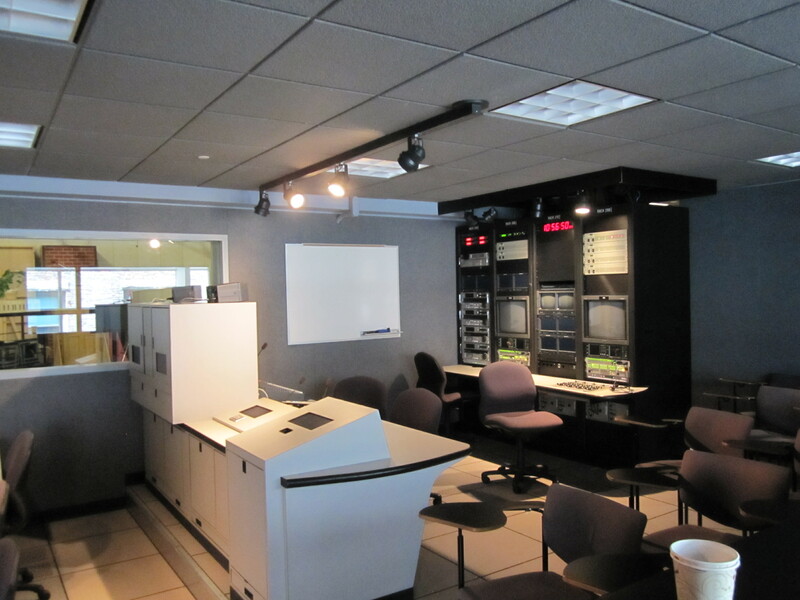 Instead, you will find top-notch industry equipment for budding journalists and cinematographers, high-end technology for future animators and sound editors, and Broadway-quality theaters for aspiring stage managers and set designers. And, its location complements this no-nonsense environment; it’s wedged right into the city, facing Boston Common. Students here are living and breathing the working world, even as they gain the skills to join it. 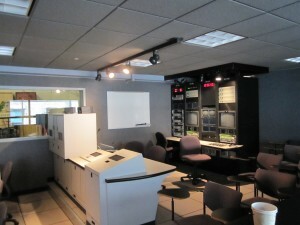 We were very impressed by the career immersion Emerson offers. For instance, filmmakers get to work with real SAG actors on location, which is cool and exciting, but they also have to deal with the less glamorous parts of filming, like requesting permits from the city – an important insight into bureaucracy from the very beginning. 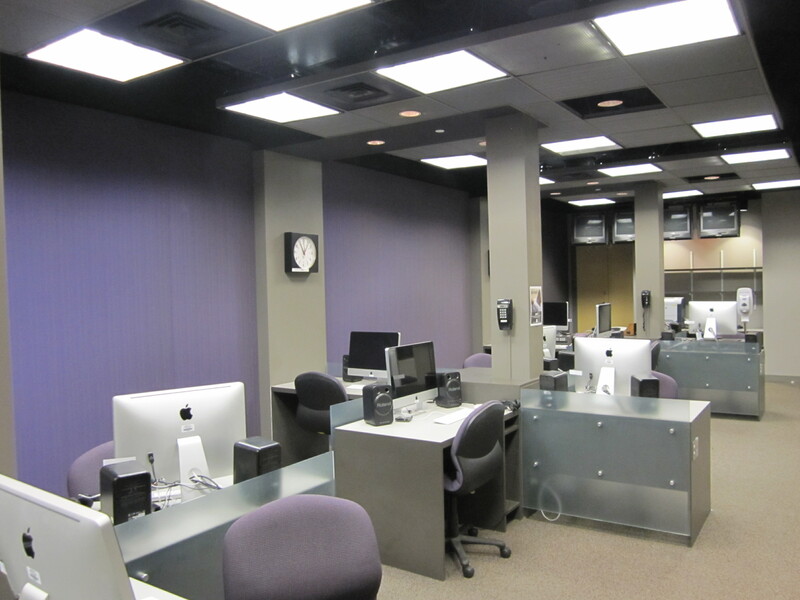 Similarly, the writing program at Emerson broadens its curricular focus to incorporate the complicated publishing process, giving students an understanding of the business world of writing. It’s just not a cotton-candy fantasy land at Emerson; they want their students to be able to work when they graduate… and I frankly wish more schools shared their mission. I know this is getting long, but I do want to mention two really cool programs at Emerson. Since the school is so career-focused, studying abroad can be difficult. That’s why the school has designed two of its own programs: the semester in LA and the Castle Program. The LA Semester is an internship-based program that takes advantage of the huge Emerson LA alumni network. Emerson is really sending its grads off to work in the media world, and as a result, it can offer over 1,000 different internship opportunities to its students in the heart of the entertainment industry. While the LA Semester is very career-intensive, the Castle Program is more of a general educational experience. The school owns a castle in the Netherlands, where sophomores can live and study for a semester, spending their weekends cavorting around Europe and soaking up the multitude of cultural attitudes that only Europe can peacefully intertwine. Okay, so we’re clearly fans of Emerson, but that doesn’t mean that we believe everyone should apply to this school or that it’s even appropriate for the majority of applicants. Emerson is for motivated, driven kids, who are actively pursuing careers in very specific industries. As such, they are looking beyond applicants’ numbers to see their potential contribution to the school. Emerson wants the entrepreneurial, out-of-the-box spirit. They want the guy who started the film club or created a quirky blog; they aren’t as interested in the leader of the powder puff team as they are in the director of the school play. In truth, I would not have succeeded at Emerson (I’m saddened to admit that fact – I’m just not creative enough), but my husband would have excelled there. What’s cool about Emerson is it reminds you that there really is something for everyone, and it’s great that a school can look seriously at the entertainment industry and groom its students to succeed in such a competitive field. Emerson proudly claims that it reaches the midway point between a conservatory and a college. If you think that might be where you belong, then you have to check this school out. Thank you, congratulations, and seize the day! This fall, we are sending students far and wide – from gap years in Costa Rica and Australia to college orientations at Vanderbilt and Notre Dame. In every case, the sendoffs are bittersweet; we’re proud and grateful to have had the opportunity, but also sad to see our friends leave. It’s that spirit of friendship that has inspired this post. Each student who comes our way enriches our lives. I’ve yet to forget a student’s name, face, or essay topic. You trusted us with your college applications, arguably the most important physical representation of your efforts and achievements this far in life. You opened up your hearts and minds to enable us to help you find your voice. Your parents believed in us and allowed us to harass you nonstop until you completed your applications. Thank you – those factors laid the groundwork for this year’s success. It’s a big deal to head off to college or to make the decision to take a gap year. You’re growing into mature adults who can contribute to our society, and we’re so proud of your accomplishments. Congratulations on the initiative and commitment you’ve shown to reach this point – the world is your oyster. If we can offer one piece of advice as you move onto the next step of your life, it’s this: Embrace your opportunities! Any time you get the chance to do something different or strange, do it. Join clubs, find internships, study abroad. Write for your college paper, start a blog, do research. College offers a volume of opportunities that no other segment in life can. Make the most of it. You will not regret it when it comes time to write the next résumé, the big one, the one that goes to potential employers or grad programs. Remember, life has no rewind button, so make the most of NOW. Okay, so that’s it with our babbling. Keep in mind as you go off onto your happy trails that we’re here to support you as you go through school – editing papers, helping with course selections, and navigating the grad school gauntlet. Please keep in touch and let us know how things are going at Boston University, Wash U, UT, University of Kentucky, USC, American University, and Rice. If you want to keep up with us, you can find us on Facebook and Twitter! Now rest up, prepare, and go get ‘em! Did you know that every year the United States Government specially recognizes high school students for their community service contributions? Your hours must be verified by a Certifying Organization – but almost any nonprofit or charity can become one if they are not already. 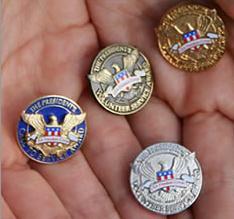 Here’s where to get info about becoming a Certifying Organization: www.presidentialservicesawards.gov. All-in-One Academics is a Certifying Organization, and can verify hours of its students who have made the service hours requirements. To qualify for the Congressional Award, you’ll need an adult sponsor – anyone except a parent, relative, or friend. These types of awards can make a huge impact on your college applications – so get out there and try to use your time wisely! You’ll help your chances of getting into the college of your dreams AND you’ll be make a positive impact on the world. Perfect! Volunteer Opportunities in Houston and Beyond! One of the most popular pages on our old website was a list of volunteer opportunities that we’d pulled together from around the web. Volunteer work builds character, encourages leadership abilities and an outgoing attitude, and not only looks great on a college application, but also provides experience that can help you feel more fulfilled, happy, and productive throughout your life. Why not commit some of your time this summer to building a better you? We’ve just refreshed all of the links and added a few more ideas to post to our blog. They are separated into three categories: volunteer organizations, local agencies you can work with around your schedule, and travel opportunities that accept volunteer applications. We hope you find a worthwhile and enjoyable fit! Volunteer Match is one of the nation’s largest and most comprehensive volunteer organizations. Sit down and brainstorm about what you like to do, what you’d like to learn, or who you’d like to help, then type in your search terms, watch informational videos, and explore the database for opportunities you’ve never even thought of! If you already have plans this summer or aren’t yet sure about your family’s plans, take a look at Volunteer Houston. The following link will lead you to more information about various ways for families to volunteer together and for teens to volunteer on their own. Volunteer Houston offers not only individual volunteer projects and programs, but also has commitment options for students who are pumped about getting involved in leadership. For instance, follow the link below to find out about the Volunteer Houston Youth Council, where high school students meet regularly and then advise the main agency on potential new volunteer programs. When visiting the Volunteer Houston site, you’ll also learn more about The Commanders Program, a week-long meta-course on volunteering for students ages 13-17. In this program, participants learn communication skills, receive diversity training, become acquainted with the concept behind non-profit organizations, and get on the ground for in-service volunteer training. Upon successful completion of the $80 course, participants receive a 20-hour completion certificate. Registration is on a first-come, first-serve basis and is already in progress, so look into this opportunity a.s.a.p.! Dates: June 20-24, July 11-15, August 1-5. All sessions are from 12-4 p.m.
Generation On maintains a teen-friendly interactive volunteering website where young folks can find opportunities or plan their own projects. At Red Cross, you’ll find all kinds of youth volunteer opportunities, including workshops, training courses (like C.P.R. and Babysitting), and more. Spending most of the summer away from Houston? The Youth Volunteer Corps of America is an umbrella organization that connects young people with a variety of opportunities through United Way, Boys and Girls Clubs of America, Camp Fire, local Parks and Recreation departments, and more. This is also a helpful website to explore for ideas about who you might contact in Houston (though YVC doesn’t have a local division). United Way’s website has an informative “Tips for Volunteering” page as well as an extensive searchable database. Habitat for Humanity provides opportunities for volunteers of all ages. Whether you want to work locally or have a volunteer travel adventure, commit a few hours or a few weeks, Habitat has something for you. Love the Houston Zoo? Although their competitive 100-hour summer volunteer program deadline has passed, you can organize your own pack of friends or teammates (ages 13+) for Houston Zoo Group Volunteers projects. After completing a few sessions this summer, you’ll have a foot in the door to nab one of the highly-sought positions in the summer program next year, or even a semester-long internship if you plan to attend a local university. Once you’ve organized your group, including 1 adult per 5 teens, contact Rick Ellis at 713-533-6754 for more information. The Children’s Museum of Houston also has ample opportunities for group volunteer work for kids ages 14 and up. The museum’s intensive summer volunteer deadline has also passed, but consider starting small if you’d like to get in next year! The Houston Museum of Natural Science is a world-renowned institution and an awesome place to spend your time. Volunteering at the HMNS yields extra benefits: free entry when wearing your volunteer badge, invitations to museum events and openings, and training by specialists and curators. The stated age minimum is 18, but exceptions are considered! Call (713) 639-4656 or e-mail volunteering@hmns.org to find out more. Memorial Hermann Hospital offers a year-round teen volunteer program with exceptional benefits, including letters of recommendation after 100 hours are completed. This is a smart option for students who will be in town for most of the summer and want an ongoing volunteer opportunity and a better chance at one of MHH’s Teen Summer Volunteer positions in the future. The minimum requirement is 3 hours/week for 6 months. Ronald McDonald House in Houston provides lodging for kids undergoing treatment or surgical procedures and their families. Service opportunities in the Family Activity Program are open-ended and focus on providing social interaction to kids who aren’t well enough to get out and play. Grab a few friends (age 16+) and brainstorm some arts and crafts projects, games, or fun lessons to share with the residents. Houston SPCA accepts volunteers as young as 15! Applications are processed throughout the year. Orientation sessions for May, June, and July are full, but there are sessions available in August or on a cancellation basis. The Houston Public Library has opportunities for anyone over 14 years of age to help deliver services from the downtown library or one of 40 sites serving Houston Neighborhoods. http://houstonlibrary.org/volunteer-opportunities. Cross-Cultural Solutions offers a variety of overseas volunteer programs. The Teen Volunteer Abroad (for ages 15-17) option is a sweet compromise between what kids want (travelling independently to really cool places with their peers) with what parents need (assurance of full-time supervision, meals, travel medical insurance, knowledge that kids will be held accountable for their whereabouts and participation). Programs are either 1 or 2 weeks long and cost approximately $2,500-$3,500. The organization offers scholarships and fundraising/sponsorship drives. Request more information or apply online. Follow the link below to view real-time information about current openings—there are quite a few! As participants in the Amigos de las Americas program, students travel to and live in Latin American communities. Along with volunteer work, this experience is geared toward encouraging fluency in Spanish—participants live with Host Families and are immersed in the daily life and activities of life in another culture. The cost (including airfare and travel medical insurance) is $4,700. Applicants must have taken 2 years of high-school Spanish. According to Amigos Alumni, this is a well-loved and oft-repeated program. Global Routes also encourages foreign-language fluency, but only requires one year of high-school Spanish for most programs (requirements vary). As participants in this organization, students live for two to three weeks with a host family in a small village, working on local projects with other volunteers and townspeople. IFRE Volunteers Abroad organizes 4-week volunteer trips in all corners of the globe. Unlike some of the other travel volunteer organizations, fees for IFRE trips can be as low as $100. Much of the Dallas-based nonprofit company’s work takes place in orphanages. Some destinations include Kenya, Thailand, Nepal, Peru, Costa Rica, Sri Lanka, and Cambodia. Please share other volunteer opportunities with us on Twitter at @allinonea! I’ve read my fair share of college admissions books. Why? Well, because there are many knowledgeable people in this world, and I would be a narcissist to imagine I couldn’t learn from them. In some cases, I’ll take tidbits of information; in others, I’ll embrace the message as a whole. 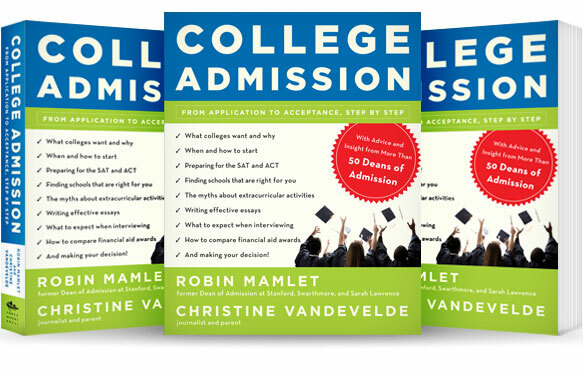 One of the books that deserve that holistic acceptance is Christine VanDeVelde’s and Robin Mamlet’s College Admission: From Application to Acceptance, Step-by-Step. This book lives up to its title because it truly provides a solid walk-through of the college admissions process. I think every parent and student facing the application process should pick up a copy of this book, EVEN IF the family intends to hire admissions consultants, such as All-in-One Academics. It makes no sense to come to the table uneducated or ill-prepared. You need to know what’s facing you, and you need a reliable reference book to keep on your desk, in your briefcase, or by your bed. We approached Ms. VanDeVelde and Ms. Mamlet with some pretty specific questions for this post because they’ve fielded every generic inquiry ten times over (if not a hundred). We wanted real, nitty-gritty information, stuff that parents and students don’t even realize they need to ask until it’s too late to make meaningful changes. In reading this, be prepared to sit down and take your time because these ladies provided far more than cursory responses. They gave serious thought to each aspect of the questions, and we can’t thank them enough. You should really get the book, if you haven’t already! Buy it here! 1. In your book, you discuss the importance of taking a rigorous curriculum, and we’ve definitely seen evidence that many students are heeding your advice. However, we’ve also seen – and we’re curious to hear if you’ve seen it, as well – a new trend: the development of easy, parallel science and math classes that help less motivated students fill a transcript with seemingly challenging courses. For instance, “Introductory Calculus” appears as a fourth year math option, or “Conceptual Physics” as a substitute for physics, or “Marine Biology” as an upper-level life science. We have also seen high school counselors advise students that college admissions committees do not recognize a difference between these courses and their traditional counterparts. What do you think? It depends on the college. Any college that takes the time to look in detail at the transcript and has access to the school profile will be able to discern the difference between “introductory calculus” and Calculus A/B or B/C; likewise “conceptual physics” and honors or AP physics. And most colleges will do so. When admission offices read applications, they usually read “in context”— with an awareness and understanding of the school a student attends and how that influences a student’s courses and transcript. They read applications from the same school year after year, and often visit those schools and talk with the college counselors and students there. If they are unable to visit the schools, they use the information from the School Report and the high school profile. The School Report includes information about curriculum, the number of students attending four- year colleges, and average ACT and SAT scores, as well as a counselor recommendation that rates the rigor of a student’s coursework and academic achievement. Some schools also provide the college with a profile that describes the curriculum, student body characteristics such as size and ethnicity, class ranking policies, GPA ranges, awards, and even grade distributions for the class in every offered subject. Ultimately, if an admission officer still feels she doesn’t have enough information she may call the high school for further details. Students and parents are often surprised to learn the lengths to which colleges go to understand the educational backgrounds of their applicants. High school education is vastly uneven across the country, and therefore colleges take into account disparities in course offerings, grade calculation, academic rigor, and competitiveness of the student body. So, for example, an admission officer may know that a high school requires four years of physical education — resulting in a lower GPA since P.E. is not an honors course — or which social studies teacher gives only one or two A’s every year. The courses you describe here such as “Introductory Calculus” as a fourth year math option can serve a valuable purpose, but they do not in any way substitute for the advanced courses and most colleges know this. Students should remember that they are being evaluated to enter a learning community. First and foremost, what the colleges want to know about them is what they are like as learners. It’s important for students to take a strong academic course load and challenge themselves academically throughout high school. So colleges pay attention to these distinctions and endeavor to never lose sight of the complex details of the young people whose lives are being assessed. 2. As you know, the Internet version of the Common Application has facilitated the application process and given students an envelope-free method of casting their lots with more schools than ever before, upping the numbers of applications colleges receive across the board. Consequently, admit rate has declined, making college admissions seem dramatically more competitive and, therefore, heightening the frenzy among parents and students. We’re not sure that the new numbers necessarily represent a radical change in selectivity… How do you see it? Overemphasizing aspects such as competition creates unnecessary pressure and anxiety. Students and families should keep their eye on the ball and try hard to resist becoming hijacked by the scare stories that appear all around them. In UCLA’s most recent Higher Education Research Institute (HERI) annual survey of first-year students at four-year colleges and universities, 79 percent reported being accepted to their “first-choice” college. According to NACAC’s 2011 State of College Admission, 69 percent of students enroll in colleges that accept 50 percent or more of their applicants. Only 25 percent of students submitted 7 or more applications, again according to NACAC’s 2011 State of College Admission. Don’t confuse competition and selectivity with quality or fit. The place that is best for a student may not be the place that is the hardest to get into. The best educational and social experience awaits you at the school that is the best fit for you. And, in the end, it doesn’t matter where you go as much as what you do when you get there. 3. Finally, we’d like to ask you to discuss your view of high school sports, which take up multiple hours each week, often to the detriment of grades and the exclusion of other meaningful activities. In many cases, those students dedicate their summers to playing in sports camps and traveling to tournaments, even if they are on a B-team. Students maintain that level of involvement because parents are under the impression that competitive college applicants need to play four years of a sport in order to show commitment. Do you believe that student-athletes who have no real chance of playing in college should survey the landscape and consider if there are more productive channels for their time and energy? There are few aspects of applying to college that abound more in myth, rumor, and urban legend than the subject of extracurricular activities. There is no one activity — or list of activities — that will guarantee admission to college. Playing a sport in and of itself is no more valuable than any other activity unless the student will play for the college to which they are applying. Colleges look at students’ extracurricular activities to help them put together a picture of who they are and what is important to them, as well as what the student will contribute once on campus. Some students will make that contribution through sports and others through any number of activities and dimensions. In our book we address the wide range of extracurricular activities that is valued: the arts, community service, hobbies, school clubs and organizations, intellectual pursuits, jobs and work experience — and sports, whether or not a student plans to continue their involvement in college. There is no formula for how students should spend their time. They should simply follow their own interests and passions, figure out what activities they enjoy and then pursue them with commitment and gusto. That is what is important. Huge thanks for Christine and Robin for taking the time to put together these thoughtful, informative answers to our questions – we hope you’ve enjoyed this post and that you’ll check out their book! 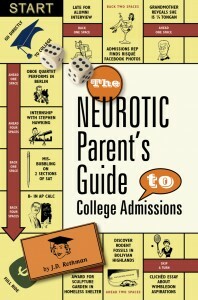 One of our favorite college admission industry blogs is The Neurotic Parent (http://neuroticparent.typepad.com/), and what we like best about it is the seemingly accidental nature of its existence. Ms. Rothman started her personal chronicle of the college admissions process as she helped her children navigate the gauntlet and recognized the increasing absurdity of its rigors. Ms. Rothman is sort of a personal heroine for me because she has had the courage to call a spade a spade, while so many other rational people seem to have drunk the college admissions Kool-Aid. And, as it turns out, people have craved her wit and sarcasm to lighten the mood of such a serious topic – so much so that her book, The Neurotic Parent’s Guide to College Admissions, has become an LA Times Best Seller! Recently, we got in touch with Ms. Rothman to get a little insight about what motivated her to start the blog and what has happened since. Below is our Q&A! 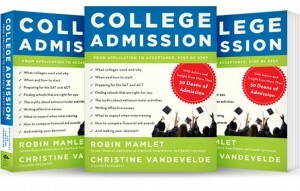 You write an incredibly informative, but lighthearted blog about college admissions. What triggered the creation of your blog? In 2008, a fellow soccer mom encouraged me to blog when she heard I had planned an eight-state, twelve-college, spring break college tour with my older son. She assumed I would write about our insane itinerary. But on the road I discovered even better blogworthy material: a stressed out breed of neurotic parents who bragged obnoxiously about their children during information sessions. Many had been prepping their kids for college since birth. In horror, I realized that my kids, who were good students but normal teens, would be competing with applicants who had discovered new galaxies or founded Tanzanian orphanages. The blog went viral and I continued it anonymously for three years because I was afraid that revealing my identity would affect my sons’ college chances. I did not even use my name when the dean of admissions of Kenyon published an excerpt in her book, even though she assured me that admissions people loved the blog and even recommended it to panicked parents. Finally, when I made a deal with publisher Colleen Bates of Prospect Park Media (who also was a neurotic parent), she convinced me to put my name on the book. What is the real purpose of your work? Is it to help people maintain a rational perspective? My “day job” is as a children’s television writer, so for me, the original appeal of the blog was to write in my own voice without getting notes from dozens of network and studio executives. But now that the book has become an LA Times bestseller, I realize that many parents are craving a little bit (okay, a lot) of levity to cope with the stress of the college admissions process. I have done signings and panels all over the country, and many cities that we assumed were non-neurotic are actually filled with angst-ridden moms, dads and teens. Parents contact me daily with “real” questions about which shoes their kids should wear to alumni interviews, how to get off waitlists or even whether their children should choose Tufts or Johns Hopkins. I always preface my answers that I am really a comedy writer with no real credentials, but I now realize I am one of the few parent “experts” out there…someone who has been through the process twice with my kids. And I do believe that laughter combined with real information does calm people down. Do you ever see any backlash because people think you’re not serious enough? Although my book is primarily a humor book, many readers have told me thanked me for the laughs and also for providing them with a lot of real information about the process. People want to laugh about the crazy state of affairs – kids with 12-page resumes, SAT tutors who earn more than top litigators, and Junior Kumon for 4-year olds. I spoke at one packed event in the library of the East Bay suburb of Pleasanton, CA, a hotbed of neurosis. People were taking notes, even during my faux SAT, because as someone who has been on umpteen college tours, I do impart information that is not always available from counselors. Even the panicked parents on the anxiety-ridden website, collegeconfidential.com, have posted that they love the book. How have you seen attitudes towards college admissions change since youstarted this blog? The year my older son applied (’08-9) was supposed to be the Most Difficult Year to Get Into College in the History of the World because it was the peak of the baby boomlet. But this year ended up even more competitive because students are now applying to 23 schools instead of 14. (This is partly because of the ease of applying to multiple schools using the Common App, partly because students want to compare financial aid packages and partly because of the randomness of admission changes.) NYU said they had received a record-breaking 29,000 applications for the class of 2013, while this year, for the class of 2016, there were 44,000. Another trend is that many of the Ivies are admitting fewer than 7% of applicants, when even five or six years ago their admission rates were 12% or greater. So getting into the top schools has become a crapshoot – even for legacies, minorities and “development candidates.” And with the crash of the economy, I have heard of several cases this year of students turning down Ivies for schools that offer merit aid. The other big trend is that graduates cannot find job, no matter which college they attend. The final chapter of my book is called “Barista Readiness.” The good news is that students can be successful baristas no matter where they go to school! You can probably see why this is one of our favorite blogs! A huge thanks to Ms. Rothman for her time and effort in answering our questions, we appreciate it greatly! While most other SAT and ACT courses require enrollment in separate courses for each test, the All-in-One Academics SAT/ACT Foundations Course prepares students for both exams. You will have 8 sessions of 3 hours each: the first five sessions will be spent preparing for the SAT, and the last three sessions will be devoted to the ACT. All-in-One’s innovative course materials were written by All-in-One founders Jamil Driscoll and Jessica Givens, and Director of Test Preparation, Errolynn Zetar. Drawing upon a combined 20 years of test preparation experience, the All-in-One team has created materials that are different and better than any others available in the market. While other test preparation companies strive to capitalize on differences between the SAT and ACT to secure enrollments in two separate courses, our course materials guide students to successful test performances by illuminating the overlap between the two exams, seamlessly transitioning students from preparing for the SAT into the ACT. All-in-One’s course is also special because our instructors are private tutors, who also happen to have classroom experience. Our instructors know how to teach each students as an individual, so even in a class of 12 students, we can zero in on each student’s strengths and potential areas of improvement. In Houston (and all over the country where people have done their reading), Rice University is synonymous with academic excellence. We’ve known many college applicants who listed Rice as their first choice – as much as for its incredible location and size as for its commitment to maintaining reasonable tuition and instructor access. It’s a wonderful school that is only getting better with age, as the city of Houston (my favorite) grows up around it. In an effort to understand the admissions process at such an elite university, we interviewed Tamara Siler, the Senior Associate Director of Admission at Rice. Check out her thoughtful answers as you consider which path to plot through school. Please note that the parts in italics are the All-in-One Academics emphasis, not part of Ms. Siler’s responses. AIOA: In a given application season, how long does it take for your desk to start filling up with applications? TS: Well, in this digital age, my desk doesn’t fill up with applications any more – all applications for undergraduate admission to Rice are read online. My reader queue is usually quite manageable in November, and in early December. Late December and early January would be when my queue reaches triple digits, and keeping up is a real challenge. This volume lasts through February and into March. AIOA: Do you notice that, in general, the lengthy Rice supplement helps limit the number of kids who apply to those who see Rice as a top choice and really know about the school? You must remember that the first step in this process, the Common Application, has already streamlined the process for many, so completing the supplement simply takes the place of completing individual applications. I’m not sure the supplement prevents students from applying, but I will say it becomes very apparent with the quality of the applicant’s responses on the supplement whether Rice is a top college choice for them. Students who have done their research on Rice will be able to infuse specificity and personality into their responses, which often allows their application to stand out from the masses. There’s been a recent study released out of Harvard, which explains that competitive schools, such as Rice, use a measure called “institutional fit” to determine whether or not a student matches the with the school itself. It basically states that great schools receive applications from countless great students, so they have to look beyond the numbers at a certain point to find students with real passion. Can you say anything to parents about the importance of having their kids think out of the box and go beyond the typical high school experience of sports, community service, and academics to differentiate themselves? I think students and parents are constantly focused on a perceived checklist of items colleges are seeking in their students, which includes certain classes, sports, music, community service, etc. I always try to get them to focus on passion – it is important that students identify not only where their talents lie inside and outside of the classroom, but also what they love to do, so much so that they would spend hours doing it without complaint. With Rice being a research university where experiential learning is emphasized, it truly helps if the student has found a way to pursue their intellectual passions outside of the classroom through research, internships, finding a mentor. The summer months are a great time to find these type of opportunities. Students can also find some experience which takes them outside of their comfort zone, and possibly allows interaction with people from different ethnic and social groups, such as a job or service trip to another region, or even another country. An important complement to passion is impact. One of my favorite questions during an interview is this: “What do you think your school will miss about you when you graduate?” Getting involved in a variety of activities is a step in the right direction. But making sure you have quality impact in at least one or two chosen activities is what will often make you more memorable. Finally, we encourage kids to take as challenging a curriculum as their school allows because it provides evidence of self-discipline and motivation. We also tell kids that a B here and there in AP classes, along with excellent standardized testing scores, an interesting, deep resume, and a well-considered essay, won’t keep them out of a great school like Rice. Do you see students with the occasional B getting accepted? The short answer to your question is yes – that is why we practice holistic admission, to get a full sense of the student’s talent, preparation, and fit. However, I must stress that many students present excellent test scores, a compelling resume, a well-considered essay, strong recommendations, a challenging curriculum AND straight As – this is the reality of highly selective admission. So, the fewer Bs in those rigorous courses, the better, but as a rule students are better served by the more rigorous coursework even if they end up with a slightly lower grade. What is your takeaway as a reader of our blog? Get your applications in early. Do substantial research on the schools to which you apply. Investigate your passions and go out of your way to make an impact on your community. Take challenging courses, and DO WELL in them! !